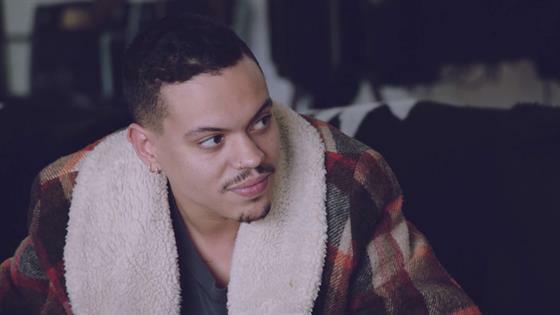 In this exclusive clip from Sunday's all-new ASHLEE+EVAN, Evan Ross turns to father-in-law Joe Simpson for advice on how to communicate with Ashlee Simpson-Ross while working on music together. In case you forgot, the Simpson patriarch managed the "Pieces of Me" singer during the early days of her career. Although Joe no longer oversees Ashlee's career, it seems he's always available to hand out advice to his daughter's husband. Apparently, per Evan, Papa Joe is also normally down for a night out on the town too! "He's extremely young at heart," the Star actor explains to the camera. "Everybody enjoys Joe. Joe says wild stuff, he's awesome." This time around, however, Evan needs managerial advice rather than a party partner-in-crime. "When me and Ashlee start moving, it's exciting 'cause things are actually happening," Evan confides in Joe. "All of a sudden there's a stop and I could tell it's become a little too real and she's pulling back." Even though Evan doesn't want to "push too hard," he also wants to move forward with their music. According to Joe, Ashlee is a "perfectionist" who wants everything to go right. "When you're young, you're fearless, right? You haven't had failure yet," the former dadager relays. "And then as you grow and you go through failures and you go through mistakes, then all of a sudden these voices get in your head." "That's part of maturity, you have to manage the voices," Joe further adds. Joe then reminds Evan that he is a "fixer" and that he just needs to listen to Ashlee's fears and concerns. "I have to remind myself of that sometimes," Evan concludes. Watch the bonding moment in the clip above.